Home Boardgames Spotted! 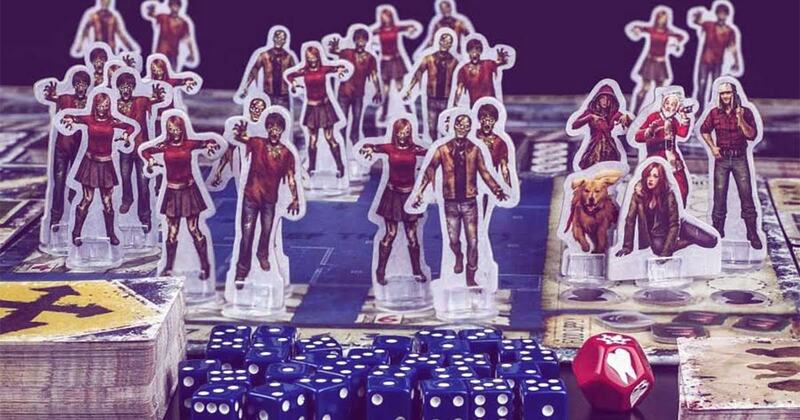 First Picture of Dead of Winter’s First Expansion! 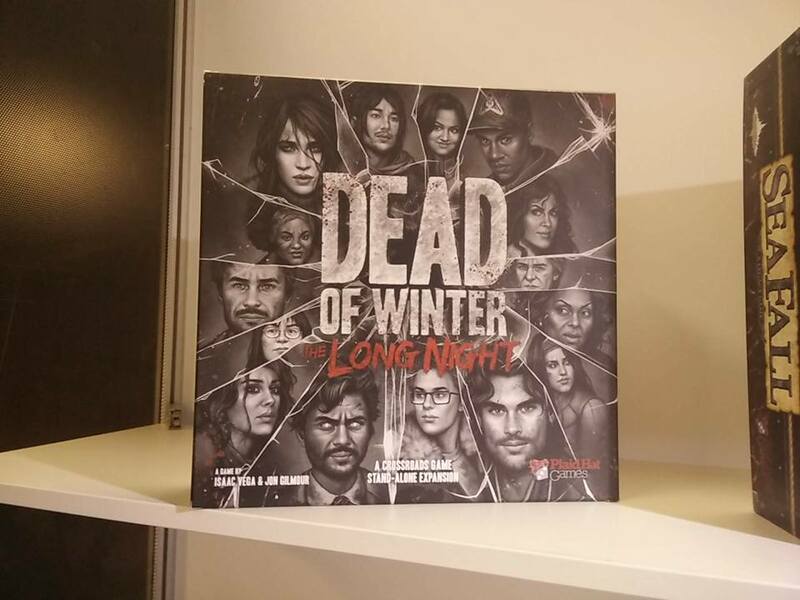 Just one week after the official announcement of Dead of Winter’s first upcoming expansion, The Long Night, a picture of the box on a shelf (with Seafall!) has surfaced! Finally! A new DEAD OF WINTER expansion is on the horizon! The Long Night is a standalone expansion (as evidenced by the box) — which means that you can play it even without the base vanilla Dead of Winter. That being said, The Long Night can be combined with the vanilla Dead of Winter game without issue for a bigger experience. The expansion started off as an add-on expansion, but the content eventually grew so much that the creators spun it off as its own standalone instead. No fixed date for its release yet, but it’s said to be coming out in time for Gen Con 2016, which is in August of this year. This does not necessarily mean that copies will be released by that time, but, if true, may mean that a small amount of boxes may be out early through other channels. Early playtesters are hinting that there is a significant amount of new game mechanics coming with the expansion, like stuff for players to do and ways to interact when it’s not their turn. Not many details here because of NDAs, expectedly. We hope you’re all as excited as we are! We’re literally busting out our copy of Dead of Winter tonight to play with!